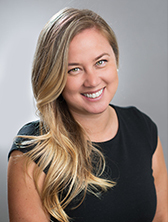 Jackie began working in the legal industry in 2001 with the Mullin Law Firm in Concord, California. She received her Bachelor of Arts degree in Economics with a minor in Law and Society from the University of California, San Diego. Upon graduation, she attended the University of San Diego, where she earned her paralegal certification. Jackie joined the Law Offices of Tess Reutzel in 2016, bringing with her an extensive background in Family Law, as well as civil litigation, trust administration, probate and estate planning. She has assisted attorneys in all aspects of the family law process including Pre-Nuptial Agreements, Dissolution and Paternity Matters, Motions for Child Custody and Visitation, and Child Support and Spousal Support, through multi-day trials and judgment. Jackie prides herself in her ability to produce excellent work product and whole-heartedly enjoys helping our clients during the most difficult times in their lives. Outside of the office, she spends her time giving back to our San Diego community through various volunteer efforts including rescue dog adoptions (California Labrador Retrievers & More Rescue/ www.labsandmore.org ), training female volunteers with the Junior League of San Diego (www.jlsd.org) and promoting young voter engagement (www.ourgeny.com).